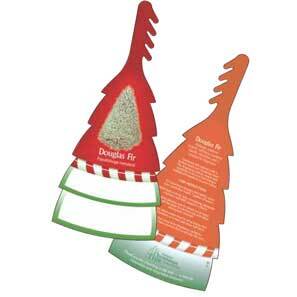 Tree Shaped Tags for 12 varieties of the most popular Christmas trees. Front: Variety specific photo, common name and Latin name. Back: Variety specific descriptive copy and care instructions.